The White Horse Inn Morcott is set at the east end of the High Street at the junction of the A47 and A6121 Stamford Road. Sadly, the pub closed several years ago. The building itself, and the land adjoining the A47/A6121 junction is owned by Burghley House Preservation Trust (the charity that supports Burghley in Stamford). 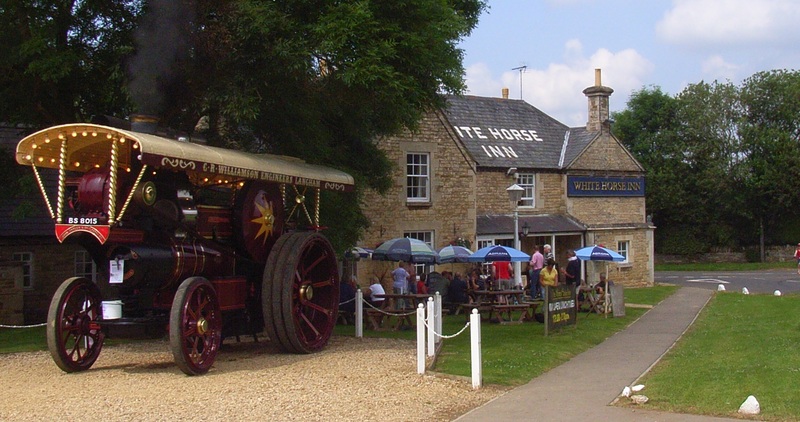 At a Public Consultation with the village in July 2016, Burghley Estate outlined proposals to make a major investment in the White Horse Inn, so that it might re-open as a ‘new’ White Horse. Burghley Estate’s proposal is dependent on the remainder of the site – including the paddock bordering the A47 – being developed for housing. This paddock is outside the current ‘planned limit of development’ as set by Rutland County Council. Since 2016, constructive discussions have been held between Burghley Estate and Morcott Parish Council. There has understandably been much debate between villagers. Some people are opposed to the idea of any development, even if it means the pub re-opens; others believe that a few new houses is a fair exchange for a ‘new’ White Horse Inn which would be an asset to the village. Some hold no view either way. 164 valid votes were recorded (a turnout of 58%). The number of YES votes = 94 (57.32%). The number of NO votes = 72 (42.68%). The result demonstrates that the MAJORITY OF VILLAGERS who hold a view ARE IN FAVOUR of the Planned Limit of Development being extended to allow development of the Paddock, if it means that the White Horse Inn is renovated and re-opened. My grandfather, Ronald Robinson, was the public an at the White Horse back in the 50s and 60s. I don’t have much in the way of family history from his side of the family – if anyone knows anything I’d be really grateful! Thanks! Grandpa Joyce lived in Corner House on Willoughby Road; sorry to say he drank in the Monkton Arms which is now the Pheasant. The White Horse is closed but with its location and the Travelodge/Little Chef site up the top in some disarray, maybe a well-known chain will breathe some light into this one as well. Change is in all our lives. What a great village with great people and great history. Now this is a real shame. Whether it was for a stop off, a meal, or a few drinks…….. We were always made very welcome and the charachter of the place was tremendous……. great shame!!! Got married in Rutland in 2012 and The White Horse Inn was our monthly stop over point for keeping in touch with the place. Used to enjoy the character of the place and particularly the dry wit of the Landlord Smog. It’s a great loss. We had many enjoyable drinks and meals in the White Horse over the years but sadly it was not supported by most of the villagers.